Looking for a healthy glow? You’ll find it in Bali! This stunning island represents health, wellness and natural beauty. 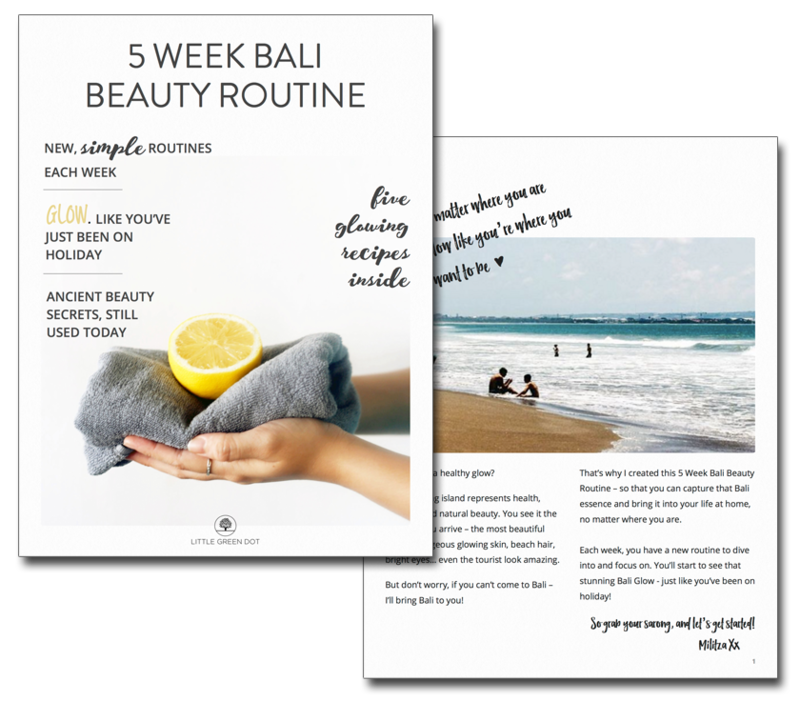 And if you can’t come to Bali – I’ll bring Bali to you! 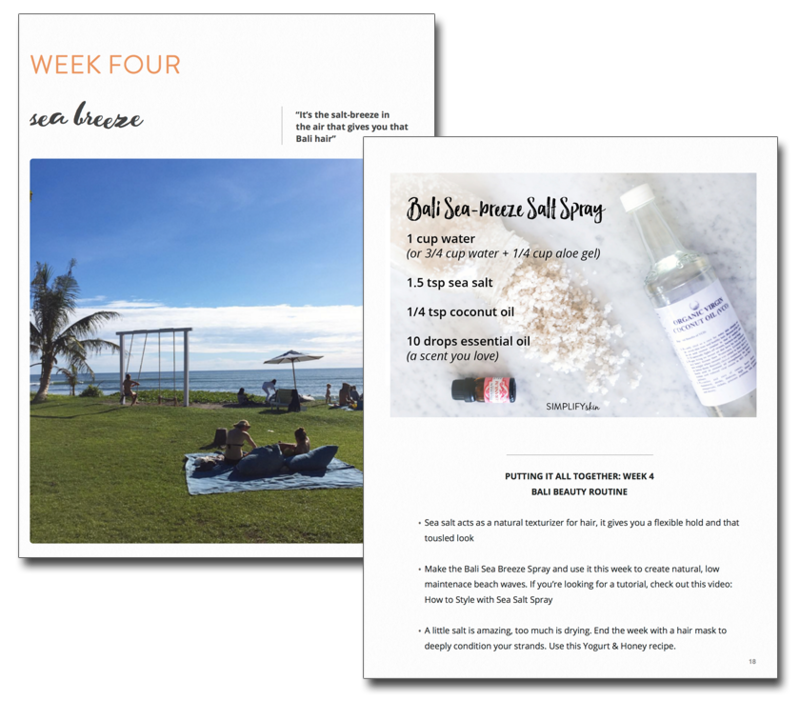 I created the 5 Week Bali Beauty Routine – so that you can capture that Bali essence and bring it into your life at home. 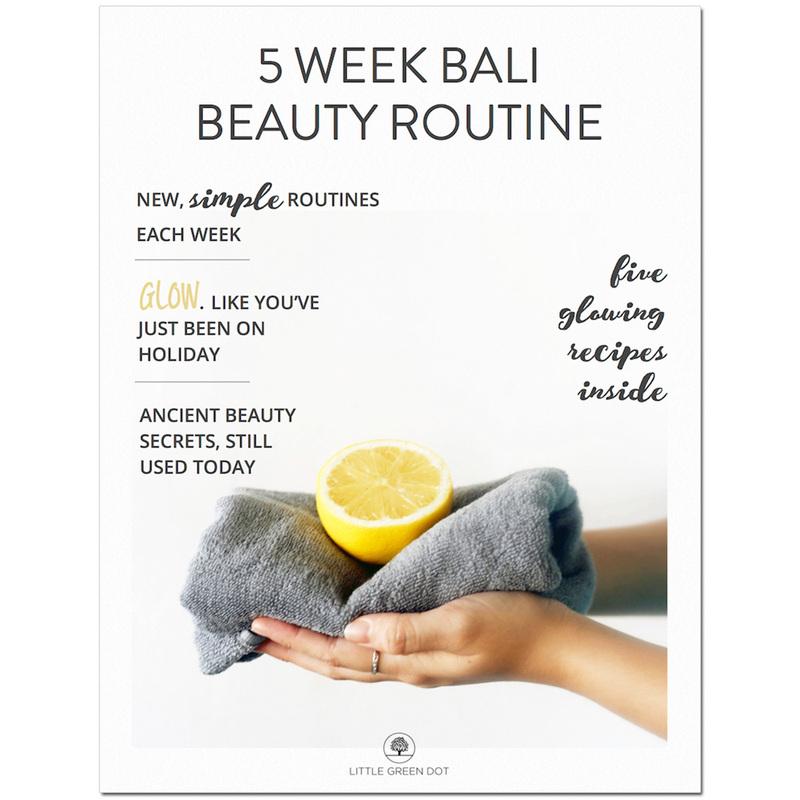 Collected for the fist time into this brand new ebook, you’ll get 5 weeks of recipes, challenges and inspiration so you get that Bali glow – no matter where you are.